Packed full of flavor, lemons are considered staple ingredients in many cuisines, making the lemon one of the most popular fruits in the world. Lemon juice can be found in a variety of products, including mayonnaise, hummus and smoothies. Why is this small citrus fruit so popular? Well, the benefits of lemons are countless — they’re chock full of vitamins and minerals that can positively impact the immune system and even improve overall health. You may have been to restaurants where lemon water was served, and it's easy to make your own at home to take advantage of lemon's health benefits. Have antioxidants that may prevent and protect cells from cancer. Help normalize blood pressure. According to Dr. Edgar "Pete" R. Miller III of Johns Hopkins University, large quantities of vitamin C can also help reduce blood pressure. Prevent scurvy, thanks to its vitamin C content. Prevent the formation of gallbladder and kidney stones. A 2008 study in the Journal of Urological Research60322-X/pdf) showed that fresh lemon juice can be used as an alternative treatment for urinary calcium stones. Promote digestion and stimulate the gastrointestinal system. Regulate the immune system and reduce inflammation. Assist in the treatment of anemia. A 2012 study in the Journal of Food Science and Technology Research showed that lemon juice can improve the absorption of iron and consequently, which may improve blood count and anemia. Soothe a sore throat, thanks to anesthetic and antibacterial effects. Promote weight loss by acting as a very low-calorie flavor enhancer. Support and boost liver function. 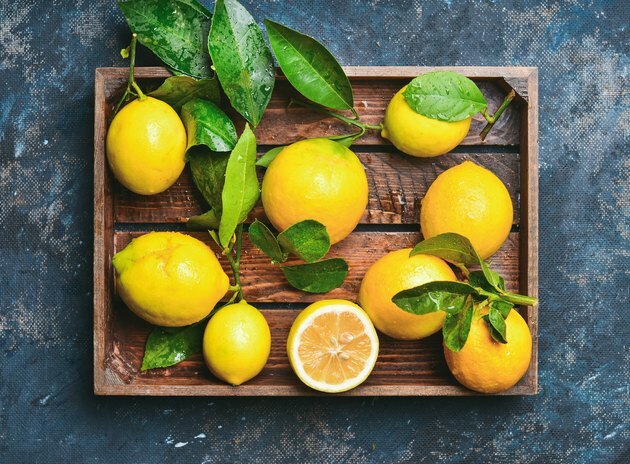 Although you may be keen to incorporate this citrus fruit into your diet thanks to its wide range of health benefits, the last thing you want to do is bite into a whole lemon. Don’t drink straight lemon juice, either — it’s acid can damage the enamel of your teeth. Instead, consider creating lemon water. All you need to do is squeeze half a lemon into 8 ounces of water. After squeezing, you should slice or grate the lemon rind and add the rind to your lemon water. The rind is important, especially if you're making the drink for health benefits, because it contains the highest amount of beneficial antioxidants. If the flavor of plain lemon water isn’t to your taste, you can add other flavors, such as cucumber slices, ginger, honey or mint.